UVision Air Ltd. – a global pioneer of high-precision lethal loitering systems suitable for a wide variety of missions, presents for the first time in Latin America its tactical HERO Family at LAAD 2019. In focus are the light-weight man-packed Hero-30 – the smallest HERO family-member perfectly fit for asymmetric warfare against heavily armed guerrilla groups, the Hero-120 – the largest member of the short-range HERO systems, ideal for longer loitering time with enhanced warhead for missions against Armoured Vehicles including Main Battle Tanks and fortifications. Also presented at the UVision booth, the advanced Training System for Hero operators, which enables pre-mission rehearsal and training for the fighting forces. “All our smart loitering munition systems’ development are aimed at enhancing mission success and military forces efficiency in combat”, says Noam Levitt, CEO of UVision. “The systems presented at the show demonstrate the mission-advantages that each can provide”. The Hero-120 is a versatile, multi-operational system, with powerful penetration capabilities and extended flight-time. It carries a 4.5 kg warhead with a forceful strike. The Hero-120 can endure an extended flight time of 60 minutes, and is ideal for missions against tanks and other AFVs, as well as against fortified positions and buildings. 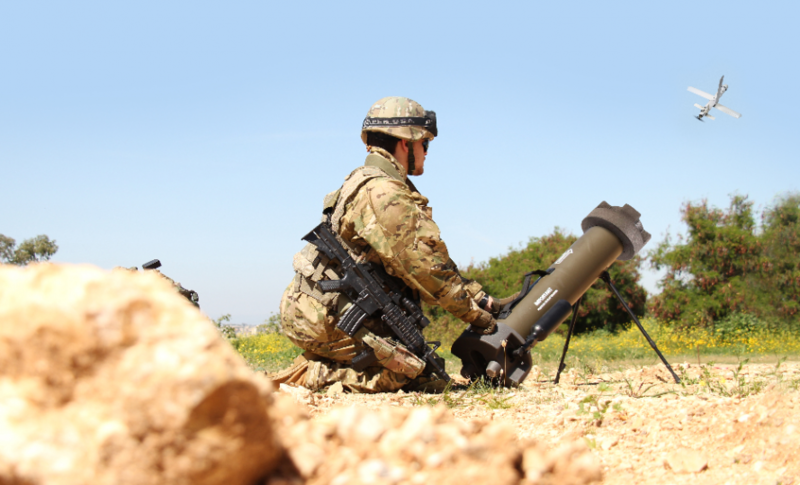 Its revolutionary precision loitering capabilities and pinpointed strikes enable operating against moving targets in populated areas or remote locations with minimal collateral damage. The Hero-120 includes advanced abort capabilities, is simple to operate and has multiple launch options. 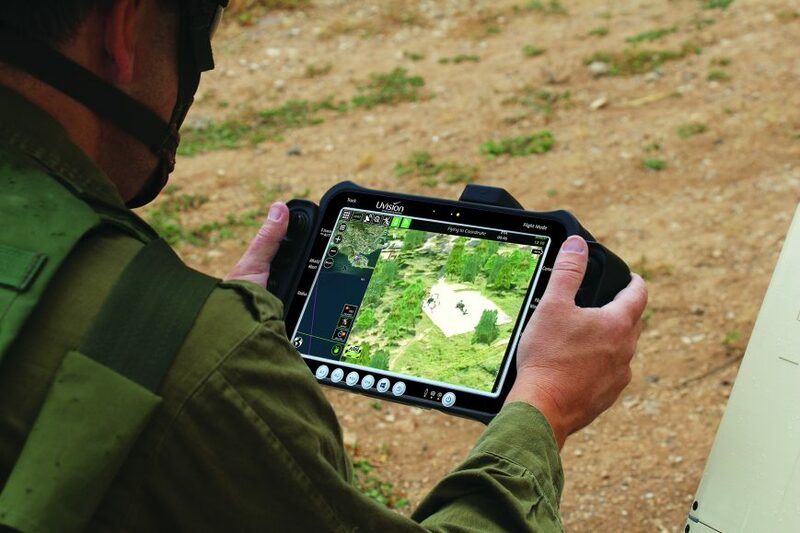 The HERO Simulator training system provides a high-fidelity environment and mission simulation, as well as instructional capabilities, allowing users of all levels to train in a wide range of operational scenarios. The system is based on proprietary software that runs on the HERO Operator Control Unit (OCU). It includes 3D training databases, and computer-generations of forces and 3D objects. Its control hardware utilizes real flight and wind tunnel data, as well as the actual Loitering Munition (LM) autopilot and video tracking, to create a realistic environment. “Our HERO family of systems includes seven loitering munitions systems designed for different missions at various ranges”, adds Mr. Levitt. “They all enable precision attacks on targets using warheads of various types and weights, high-speed transit flight and low-speed loitering, depending on the tactical or strategic needs of the mission. Their extremely low noise and thermal signature, and the integration with highly-advanced, stabilized electro-optic day/night cameras – are all essential qualities for mission success”, he says. Deployable from air, land and sea, The HERO systems can gather intelligence via an ISR configuration, can carry out pinpoint strikes with minimal collateral damage, can handle moving targets of all sorts and enable recall and reassignment of selected targets in the case of mission abortion.